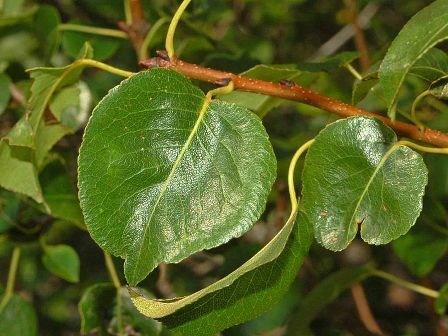 European wild pear is considered to be an ancestor of pear. It is found growing wild from Western Europe to the Caucasus. It does not occur in Northern Europe. The natural population of this fruit is declining and it presence is becoming rare day by day. Sometimes it is difficult to distinguish it from the cultivated pear. European wild pear is a quite long lived tree. A plant of this fruit can last upto 150 years. 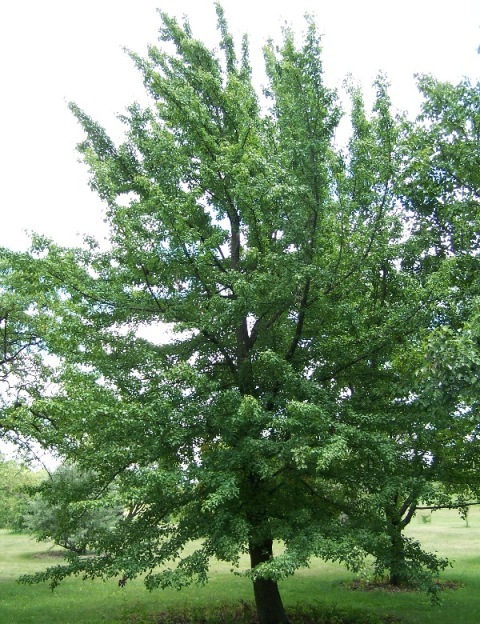 A slow growing small deciduous tree, 3–4 m, with thorny branches, canopy broadly conical. Leaves simple, alternate, elliptic and petiolate with denticulate margins and pinnate venation; turning an attractive orange, bright orange to red in autumn. 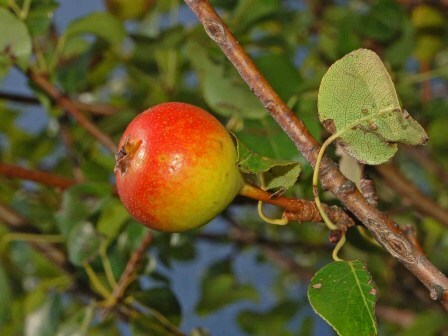 Fruits 1–4 cm wide, brown, hard and astringent when unripe, sweet and soft at maturity when they start falling down from the tree; mature fruits edible. European wild pear is a heavy bearer and the fruits are borne in abundance. These are edible and can be raw or cooked. The fruits should, however, be perfectly ripe for eating fresh. Uniripe, even slight, fruits are astringent and thereforeinedible. 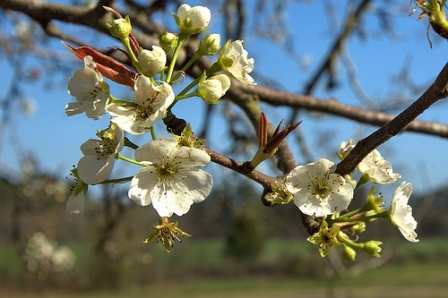 European wild pear trees seem to prefer a sunny to half-shady situation on dry to moderately moist soil. The substrate should be loamy, sandy-loamy or gritty-loamy soil. This is quite cold hardy tree and can tolerate temperature upto -23°C. New plants can be raised by seed. The seeds require to be stratified for 6-8 weeks before sowing. Seeds without stratification will also germinate, but they will emerge after winter.